CHAUVET's COLORstrip™ is an LED-fitted strip fixture. The unit can be controlled via four DMX channels, multiple modes accessible via the control panel, or an optional LED-FS1 controller. The COLORstrip features built-in programs with automatic and sound-active triggers, and allows access to popular preset RGB mixed colors: yellow, purple, cyan and white. The fixture is equipped with pre-programmed flash, color chase, sequential color chase, color mixing and color fade patterns. Jacking the COLORstrip™ into a DMX controller gives the programmer access to all pre-programmed features as well as to speed adjustments for fade and flash. At 38 inches long, 2.5 inches wide (96.5cm x6.4cm),and weighing less than 5 pounds (2.05kgs), it is ideal for creating "runway" effects without cluttering up the catwalk. 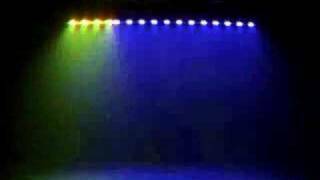 Considering purchasing the Chauvet COLORstrip RGB LED DMX ? Have questions? Ask people who've recently bought one. Do you own the Chauvet COLORstrip RGB LED DMX ? Why not write a review based on your experience with it. 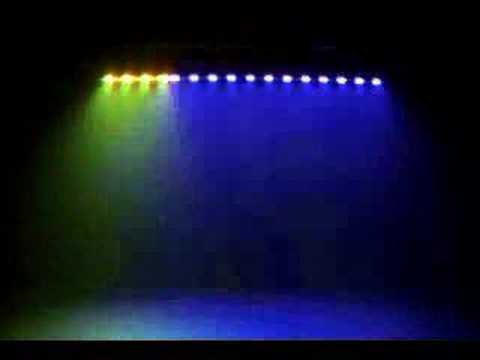 Seen a video for Chauvet COLORstrip RGB LED DMX online or have you own video? Check out Chauvet COLORstrip RGB LED DMX on DJkit.com!